This time around they've included a mixture of four products instead of just focusing on makeup they've also incorporated in some skincare. The Set For Sunshine set contains three miniatures and one full size product. Starting with the thing I'm most excited about trying the Extreme Length Waterproof Mascara. 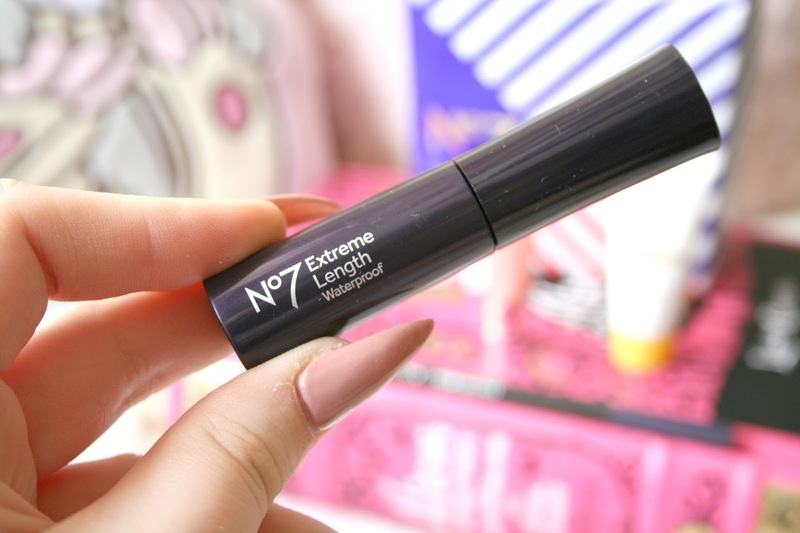 The mascara included in the Christmas set was a mini Extreme Length and it has become one of my absolute favourites, so much so that I bought a full size version of it. So I'm definitely excited to give this one a try. I also love that the mascara they included is waterproof, I suffer with really bad hayfever at this time of year so I'm always opting for waterproof products. I definitely have high hopes for this product after being so impressed with the last. They've also included a gorgeous coral BB Lips that includes an spf of 15, perfect for those days when you're out enjoying the sun. This has a coral pigment to it when you squeeze it from the tube but once you rub it across your lips its more of a shine than a coloured gloss on the lips. Its very moisturising and I've been wearing it a lot on my lips lately especially when I know I'm going to be wearing a matte lipstick. I will admit I never wear an SPF which I know this time of year is bad or even any time of year but it's just because I never got into a routine of using one so it's always a skipped step. I'm going to start using this under my foundation just to give my skin the protection it should have everyday. 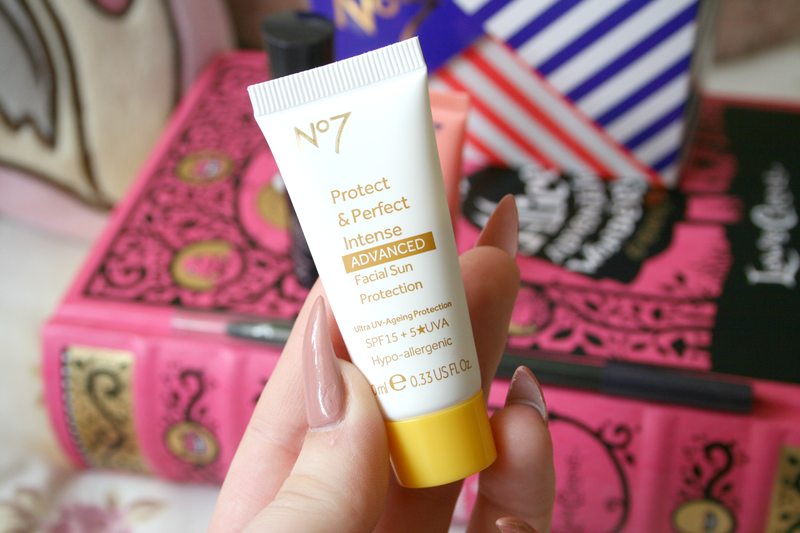 This Protect & Perfect Intense Advanced Facial Sun Protection is the perfect little size to keep in your handbag for those no makeup days enjoying the sun. 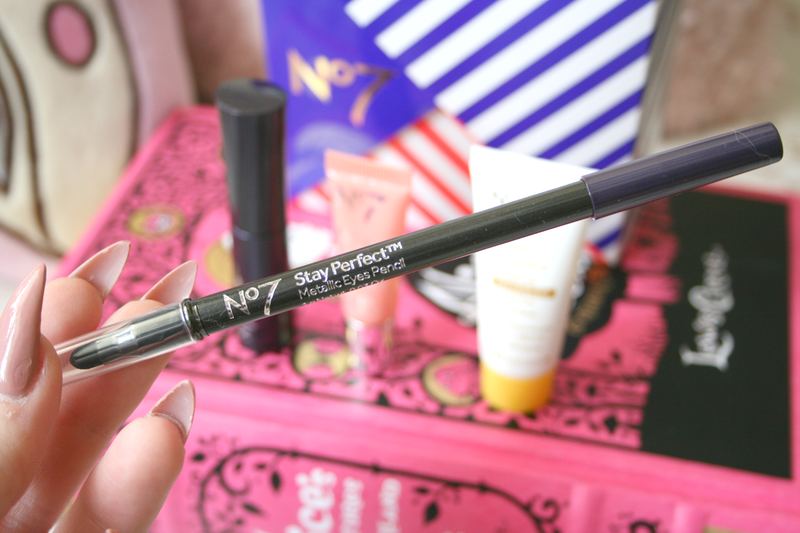 Finally inside the gift set they've included a full size Stay Perfect Metallic Eye Pencil in a muted purple shade. I think this was such a great colour to include as I feel like in Summer people get more adventurous and start to add colour into their makeup routine. I also just really love wearing purple on my eyes so I was so happy with the shade. The pencil itself is so extremely buttery and it also comes with a smudger to help you get that smokey look. Overall I'm really happy with the 4 products they've chosen to include in this gift set and think it's such a great offer! I'm so excited to start using everything and I'm sure I'll update you on how they all perform! 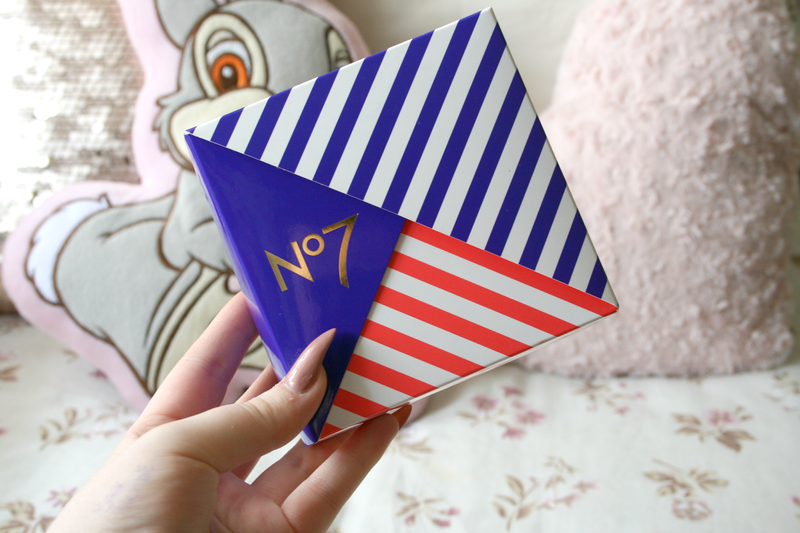 Have you picked up your No7 Set For Sunshine gift set yet? 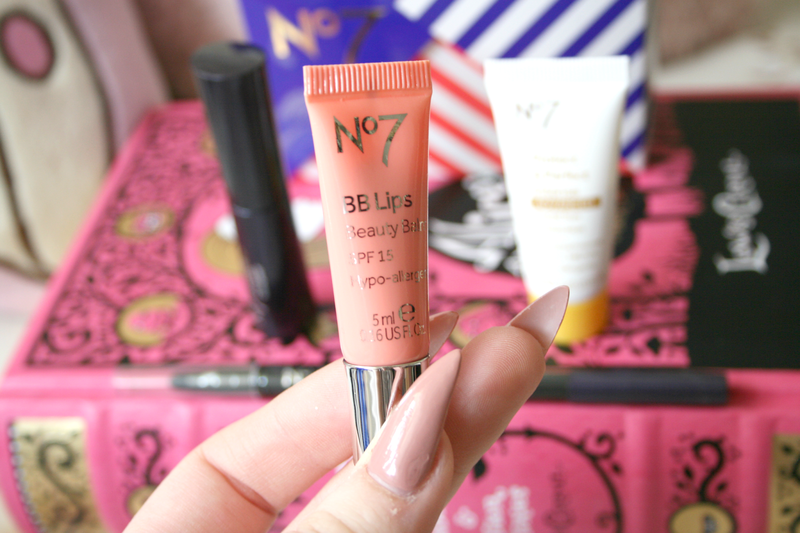 This is such a good set for travelling, the lip product looks like a gorgeous shade! Such an amazing offer, the lip products looks stunning! p.s your nails are gorgeous!